Up With GravitySM is a simple, effective and time-tested method for using the gravitational force as nature intended – as a help, not a hindrance. The Up With GravitySM method is now freely available in writing for the first time. 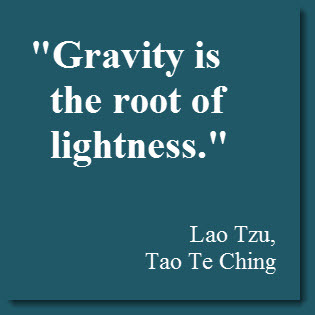 Gravity is often considered a source of limitation and discomfort. Here you’ll learn how to use gravity to bring greater freedom and comfort into your life. The next set of lessons will be published later. They will involve the use of Alexander Technique directions, and so I suggest you explore and experiment with the material on the Alexander Technique Directions page. I also suggest exploring the Constructive Rest and Accurate Body Knowledge pages on this site. All three of these processes will help you achieve a healthier relationship with gravity. If you find these lessons useful, please let your friends and family know about this site, use the social media buttons at the bottom of this page and consider supporting this site using the Support options on the right. This site sponsored by: Commercial Gym Equipment from the Fitness Warehouse. From Kettlebells to commercial cross trainers they are a one stop shop for fitness equipment. Personal trainers Sydney and the best personal trainers in Manchester from UP. Also renowned as Londons leading personal trainers and top Singapore PT’s.